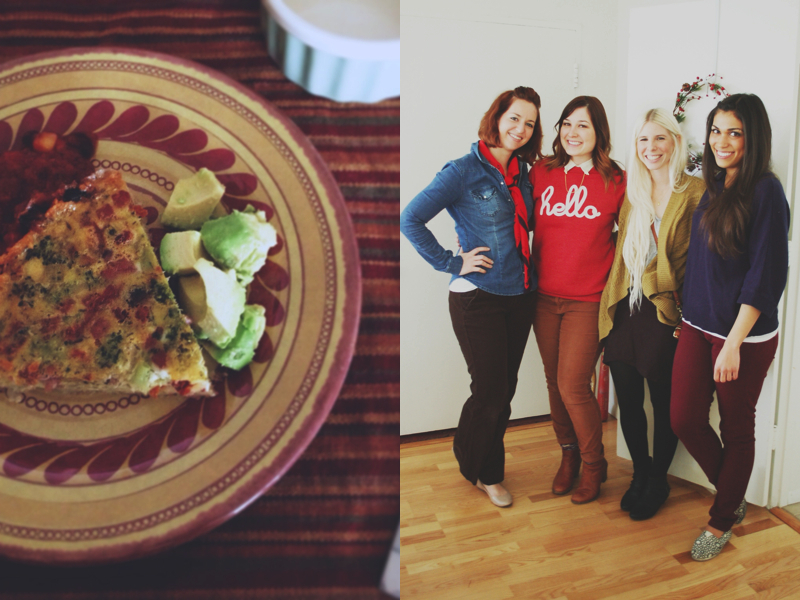 The lovely ladies of the Phoenix Style Collective, including myself, decided to get together to celebrate Kara & her husband's big move to a grownup person house near downtown Phoenix. I baked a quiche (typical. ), and threw on my coziest of weekend wear for a morning of girl time. This folks, is how real adults do it. Or so we tell ourselves. Other life lessons learned while brunching? A friend who will go to the market so get some soy creamer for those of us (cough, me, cough) who can't seem to tolerate dairy deliciousness these days...that is a friend for life. AWW! The love is mutual my darling.